HorrorRated.com is a unique horror movie site made by horror fans for horror fans. 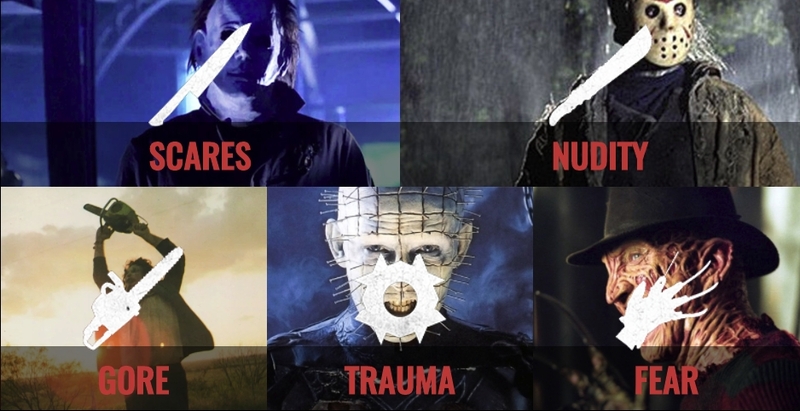 The horror genre is wide, deep, and well-worn so we created a bespoke rating and search engine to help fellow fans find new horror titles that precisely match their interests – no matter how nefarious and terrifying they may be. Rather than scrolling through the likes of Netflix for an eternity to find something to elicit the merest flicker of interest, our site enables horror fans to find a horror movie to sate their bloodthirst and chill their bones within a few moments. HorrorRated.com is the one-stop site for all things horror in the world of cinema and video. As a self-financed service without any sponsors or backers swaying our judgement, we are asking for your support in keeping our site independent and enable us to strive for further improvements to bring you the best horror movie resource site on the web. But, far from this being a deal with a devil to later regret, we have plenty to offer in return for your kind contributions. An Unnecessary Evil - Ad-Free! AD FREE. Advertising is a necessary evil of life on the internet, but for just one dollar a month we will make it an unnecessary evil for you on HorrorRated.com and banish ads from your experience on our site. This will help us cover server costs and rewarding our hard working writers. Ad Free Plus Exclusive Access to Patreon Posts! EXCLUSIVE CONTENT. For just two dollars we will not only rid our site of ads, we will also offer access to exclusive posts, reviews and content. Join the other kind souls helping us keeping this Frankenstein’s monster alive. By throwing down three bills a month, you get all of the above plus having your say on what content we cover, exclusive reviews, binge watches and genre breakdowns: laud over our team of demons by instructing them what horror titles and genres you want to see on our site. You'll get all of the above as well as the ability to create your very own HD Horror Movie Wallpapers. Download them, use them on your phone, iPad, Computer, print them, share them - whatever you like. Have them featured in our exclusive Patreon gallery. Reaching this goal will not only enable us to cover the costs of running the site, but also allow us to upgrade our server which means our content will be delivered to your devices at lightening speed.